Add some bold hues to your look with this bodysuit. 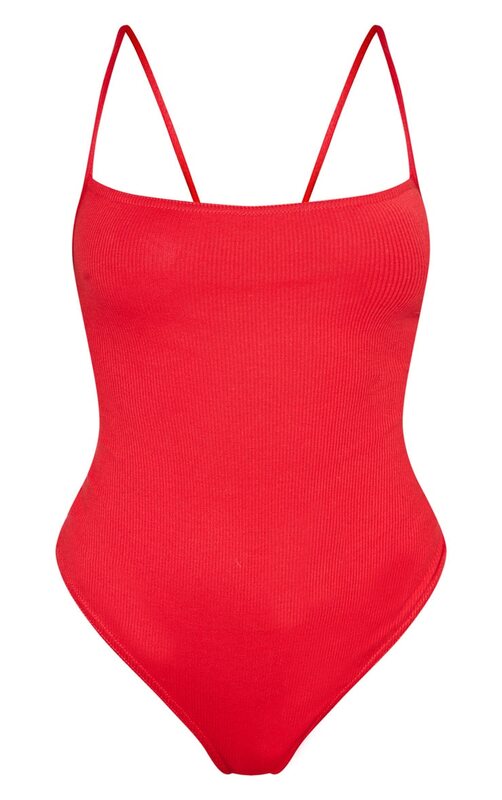 Featuring a red ribbed material with a strappy back, thong fit and popper fastenings. Team this with cycling shorts and heeled mules for a look we are loving.